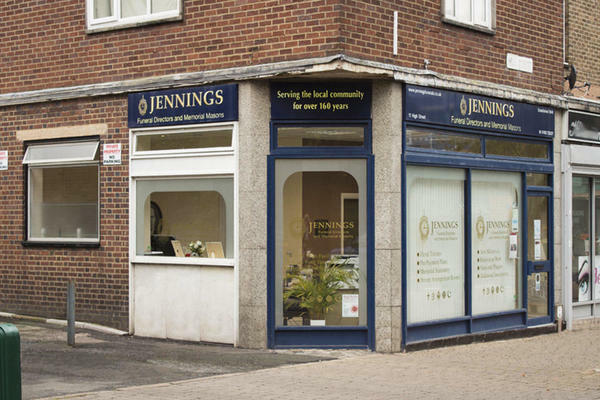 Welcome to Jennings Funeral Directors in Wednesfield. Established in 1848, we use the knowledge and experience we have built up over the years to help you arrange the funeral service you want for your loved one. We have a history of going above and beyond for the families around us. As a long standing part of the community, we support local charities and are always looking to improve the lives of people in need of help and support in various ways. We understand how difficult and emotional the loss of a loved one can be, which is why we are here to offer any advice and guidance when you need it most. However you wish to say goodbye to your loved one, we will arrange it. We will look after all the details, whether that is contacting a minister or celebrant, arranging the cortège route or the floral tribute. We are here to help you and to make a difficult time a little easier. If there is anything we can do to ease your concerns or make you feel more comfortable, please do not hesitate to get in touch with us. We are available to call 24 hours a day. Call us today on 01902 723237 to talk through your personal requirements. There is parking available at the rear of our building and on the street outside of our funeral home. You can find us opposite St Thomas Church. Our staff are available 24 hours a day on 01902 723237 if you require our services outside of these hours. My Mother, my Son and myself cannot find words to praise highly enough the service given to us by Jennings, dealing with the arrangements for the funeral of my late Father. The staff in the office gave us unending support, advice, help and kindness. Everything was carried out exactly as we requested. The respect and dignity shown by the drivers of the hearse and funeral car was impeccable. We are extremely grateful to all at Jennings. excellent service from start to finish always in contact up till day of funeral it was the extra special touches by adding a photo on the coffin and giving us copys of the photos and order of service.even contacting us a few days later. As everyone is well aware it is always difficut to deal with the loss of a close family member and this was certainly the case following the passing of my Mother. Right from the first call and follow up visit to our local Funeral Directors in the Wednesfied High Street, we felt we were in safe hands with H***a & S***h. H***a was very patient with us as she worked through her checklist to ensure we knew what options were available to us regarding caskets, cars, flowers and the cremation service. As we did not want a particularly religeous service but still to be a dignified funeral, H***a suggested we might want to consider using a Civil Celebrant. After explaining what they do we elected to follow this route & we were introduced to R**h (Civil Celebrant) who did a first class service for us. Throughout the whole process we were kept informed of costs & progress & we were encouraged to make any changes or tweaks along the way. On the day of the funeral everything went like clockwork, exactly as planned. We would be very happy to recommend Jennings Funeral Directors with a 5 star rating based on our experience for a comprehensive service.